adult males were in the residence as well. at the residence to pick up. threatening and is currently listed in stable condition. 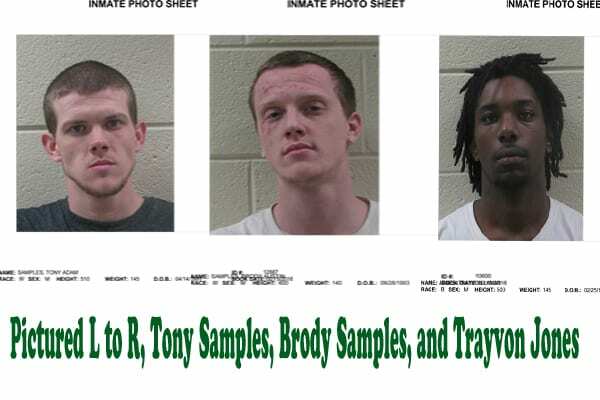 area and were able to apprehend all three suspects. parties. 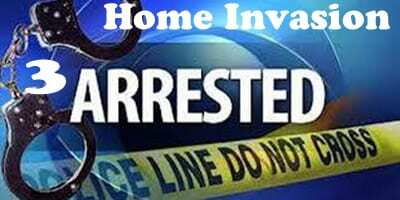 Due to the active nature of the investigation, no additional details are available. Sunlink Inc. / Southern Health Corp. of Ellijay may soon be closing the North Georgia Medical Center located in Ellijay. Piedmont Mountainside Hospital Inc. has made an offer for a five year lease for the Emergency Room Care area of the hospital. The two are awaiting approval from the State Department of Community Health that is due by January 28th. Piedmont Mountainside Hospital, Inc. (“Piedmont Mountainside”) proposes pursuant to this Determination to acquire existing equipment and supplies, and lease approximately 11, 000 square feet of space at North Georgia Medical Center, located at 1362 South Main Street, Ellijay, GA. As a result of such acquisition and long term Lease, Piedmont Mountainside proposes to offer outpatient emergency department services at the current location of the Emergency Department (” ED”) of North Georgia Medical Center (” NGMC”). The present owner of NGMC, Southern Health Corporation of Ellijay (” SHC”)— a subsidiary of Sunlink Healthcare— intends to close North Georgia Medical Center and cease offering all short stay hospital services, including emergency services, in that facility. Such a closure will leave a troubling gap in the provision of emergency healthcare services to the rural community in Gilmer County. This Request for Determination could be contested, but if it is not contested and is approved by the state, it is not clear when the inpatient side of the hospital will close and Piedmont Mountainside will take over the emergency room. 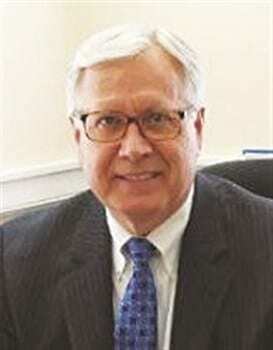 FYN spoke with North Georgia Medical Center Chief Executive Officer Earl Whiteley about the possible closing of the hospital. Whiteley said that although the hospital would no longer have inpatient care the positive was that the community would still have emergency care services. If a person came in the emergency room and had to be admitted, the patient would then be moved to a hospital of their choice. 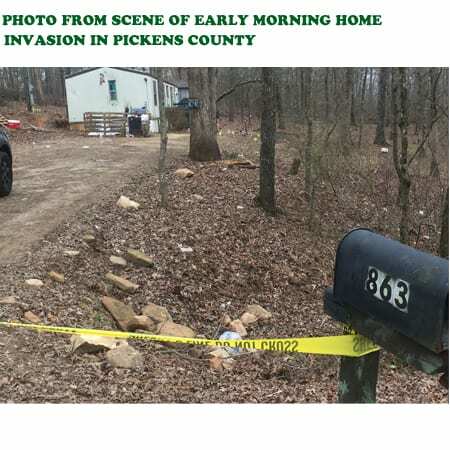 Many of these patients, however, are expected to travel to Piedmont Mountainside in Pickens County. Whiteley went on to tell us that Sunlink Inc. would continue to operate the nursing home and no changes should be expected there. Additionally, the Piedmont campus on Industrial Dr will be in the lease as well and is expected to continue operation. The UGA study said the Hospital and nursing home has a yearly $31 million dollar economic impact to Gilmer County. We will loose very high paying jobs here, as well as other sources of revenue as people will go to Mountainside Piedmont in Jasper for hospitalization. This change will take effect unless we contest it. We only have until January 27th to do so. Whiteley indicated in the interview that rural hospitals are ‘under the gun’ with this making six rural hospitals to close in Georgia in the last two years. Currently the hospital employs 332 employees throughout all campuses. While FYN has not learned of any final operating days yet, we are continuing to research this project as it develops and will update you as information becomes available. You can also read, in its entirety, the Request for Determination. When we asked about details concerning the purchase price that Piedmont was paying the hospital, Whiteley referred us to Bob Thornton of Sunlink inc. for details on the transaction. FYN has reached out to Thornton and has not heard back from him at the time of this article. FYN has also reached out to Georgia Speaker of the House David Ralston for a comment about a hospital in his district possibly closing. FYN has also reached out to Piedmont Mountainside Hospital in Jasper for a comment concerning the transition and what citizens can expect. We currently await responses from both. At this time, we understand the Request had also been sent to the County Commissioners and both City Mayors. « Previous Article Are You Protected From the Flu? 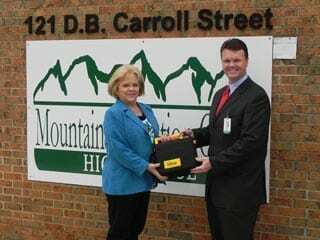 Jasper, Ga. (April 29, 2011) – Piedmont Mountainside Hospital recently presented Mountainside Education Center High School with an AED, or an automatic external defibrillator. Sudden cardiac arrest strikes over 300,000 people in America each year, making it one of the leading causes of death in the United States. Because sudden cardiac arrest is related to abnormal heart rhythm, not to heart disease, young people as well as old can be at risk. One of the best ways to ensure survival when a cardiac arrest occurs is to receive early defibrillation.